Ever since North Korea directly connected to the Internet in 2010, there's been a lot of interest in how the world's most closed country maintains and uses the link. Yet for everything we've learned, there's still a lot we don't know and now there's a new mystery: Last week, the country's sole Internet link with the rest of the world went down for about three hours. It was the longest outage of the year and meant the entire country was disconnected from the Internet, according to monitoring by Dyn Research. 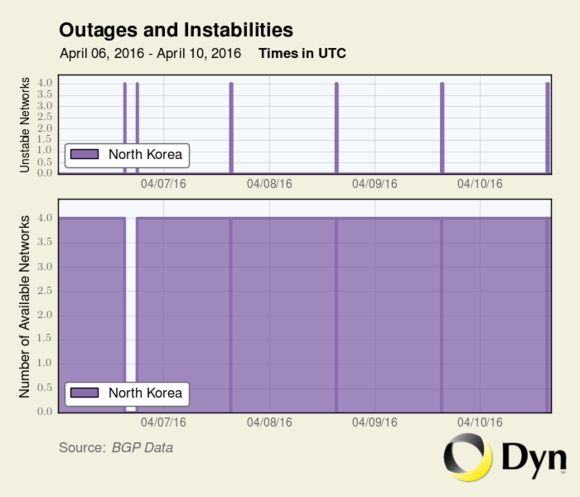 A series of outages affecting North Korea's connection with the rest of the Internet can be seen in this graphic from Dyn Research. The reason for the outages is unclear, but they haven't occurred on Monday, Tuesday, or Wednesday this week. "Based on the timings I would guess that a human was doing something at [11:45pm] that included rebooting their router," said Doug Madory, director of Internet analysis at Dyn Research, when asked for his best guess on what might be happening. 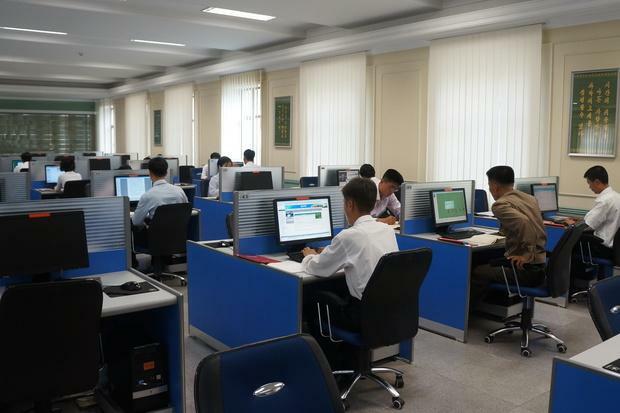 It's impossible for most North Koreans to get access to the Internet, and any that do would connect through terminals in government buildings or companies. There, access is continuously monitored to ensure they don't stray to sites they aren't supposed to see -- a group that would include any sites carrying news or information.